Exfoliation is the process of removing dead skin cells sitting on the skin’s surface to reveal the healthy glowing fresh skin cells beneath. Our skin is made up of various layers of skin cells. The skin is constantly generating new skin cells through these layers by sending them from the lower layer (the dermis) to the upper layer (the epidermis) or the surface. As these cells rise to the surface they gradually die. The process of removing these dead skin cells and making way for the fresh glowing skin cells is called exfoliation. Exfoliation opens the way for moisturizing products to penetrate more deeply into the skin, making them more effective. Exfoliation leaves the skin looking younger and smoother. It has become an important part of both facials and body treatments. As we age, the process of cell regeneration slows down. This means that the body takes more time to shed the dead skin cells and generate new ones. Dead cells start to pile up unevenly on the skin’s surface, giving it a dry, rough, dull appearance. Exfoliation is beneficial because it removes those cells that are clinging on, revealing the fresher younger skin cells below. That’s why a younger person has fresh and vibrant skin as he or she is naturally exfoliating and the regeneration of cells is faster, while an older persons skin looks dull and dry as dead cells start to pile up and regeneration is slower. Furthermore, the build up of dead skin cells can result in excess oil and clogged pores leading to blemishes and acne. You may be cleansing, moisturizing and slathering on the sunscreen but if you are not exfoliating your skin isn’t as healthy as it should be. Exfoliating your face helps in totally cleansing the facial skin, removing buildup from the pores and helping to get rid of whiteheads and blackheads. It helps in smoothening the skin and improves the skin’s texture to give your face skin a soft and flawless look. It also stimulates blood flow to your face to give the appearance of youthful glow. They say “too much of anything is bad for you” and that holds good exfoliation too. If you want healthy, glowing skin, regular exfoliation is a must. Try home remedies for glowing skin. Also, limit your exfoliation routine to once a week – over exfoliating can leave your skin dry, irritated and damaged. If you exfoliate your face too much, your skin can become sensitized. Fresh skin cells become sensitive if you exfoliate quite frequently, making it prone to redness and irritation and instead of taking care of your skin, you may make it worse. You also have to be careful about exposing yourself to the sun after you exfoliate, as the Sun’s UV rays can be harmful to the fresh young skin. Take good care of your skin and put your best face forward. Clogged pores can happen due to the pill up of dead skin cells and constant exposure to everyday pollution and dirt. If you suffer from clogged pores, exfoliation helps to draw out congestion, otherwise known as blackheads or whiteheads. Most common area for breakouts are nose, chin and neck. 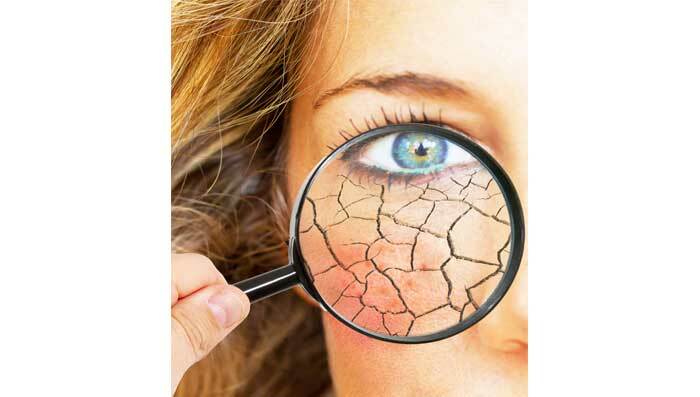 If your skin is dry or dehydrated, you may find scaly or flaky areas that can hugely benefit from exfoliation. Once you have exfoliated an area of dry skin you can apply a gentle moisturizer lotion to nourish the new skin cells. When a hair while growing cannot pierce through the skin and a red spot appears around it, this is called in grown hair. This generally happens after waxing when the hair growing back is generally weak and cannot penetrate through the skin. Exfoliation helps to remove the dead skin around that area, allowing the hair to break through the skin. We would suggest removing dead cells while keeping the skin clean and hydrating with a good moisturizing lotion which is lighter than a cream – making sure that you apply the lotion with clean hands to prevent bacterial infection and spots. Exfoliating dead skin cells from your body is essential for sun tanning. By getting rid of dead skin cells the sun will be affecting the new skin cells, which will last longer and leave your tan looking more even. Make sure you moisturize and keep your skin protected safely when tanning, and also hydrated through body moisture lotions. Exfoliation on the whole helps to detoxify the skin by removing the toxic dead skin cells, give you a brighter complexion and leaves your skin healthy and young. It helps in reducing fine lines and sun damage and improves the skin tone. Exfoliation helps in killing bacteria and other breakout that can damage the skin and improves penetration of moisturizing products and treatment results.